The biggest prejudice is that vegans don’t get enough protein. What people fail to realize is that there is plenty of wonderful protein in plants. A little example: in 100 grams of lamb is 25 grams of protein, just as much as in 100 grams of peanuts! 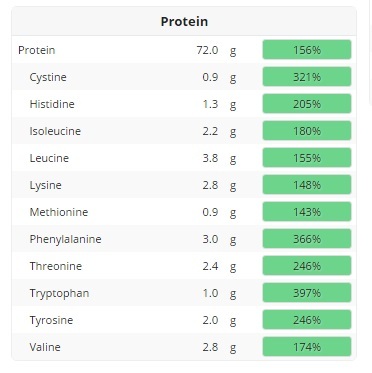 Spirulina (an algae which powder can be added to oatmeal, smoothies, dough or whatever easily) delivers us awesome 57g of protein per 100g. How much protein a human being actually needs is not perfectly defined. The „atkins diet“ says a human should consume 200g-400g protein a day, while the World Health Organization recommends 33g-71g. The German Association for Nutrition says you can easily calculate your protein need by multiply your weight in kilograms with 0,8 (0,8 grams of protein per kilogram bodyweight). In my case that is 0,8g x 57kg = 45,6g. Last week I put everything I ate into cronometer to get an overview of my nutrient consumption and below you can see my result. I easily got to 72g WITHOUT even trying to eat a lot of protein. This happened by accident while simply eating healthy. Vegan protein sources are: kidney beans, chickpeas, tofu, spinach, mushrooms, potatoes, every grain, fruits, nuts, seeds … and a lot more. You see, you don’t have to worry about getting enough protein at all. Elephants only eat plants, too. 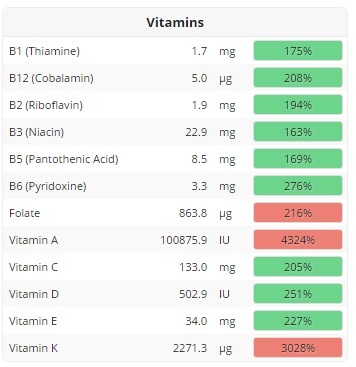 Onto the next favourite argument of non-vegans: „B12 is only in meat!“ wrong. But you are also right: B12 can’t be found in any plant. B12 is the only thing vegans really have to think about. But it’s not as complex as you think: You can get B12 through enriched tooth paste, pills, injections, enriched plant milk, enriched granola, enriched fruit juices or powder. Actually, there are even more sources for B12 which I simply forgot right now. Did you know that meat only contains B12 because it’s in the animal feed the animals eat? *mind blown* again. I personally prefer pills because they are cheap, don’t taste weird and don’t take up too much time (actually, no option takes up too much time). I am too stingy for the tooth paste, too lazy to order the injections and I get too bored of the juices too easily. Pills are the way for me and my B12 blood test results are great! Let’s put it in the easy way: You get all nutrients you need. You won’t lack anything. Veganism won’t make you ill. You will live happily and long (as long as you look both ways when you cross the road). Just eat healthy and enough. I made the mistake to eat too little for too long so I ended up lacking nutrients which caused me damage, working on fixing that right now and there are big steps in the right direction! 🙂 I advice you to get cronometer (web version is free). Enter all things you ate over the day and look at your nutrients, it will show you what you lack. 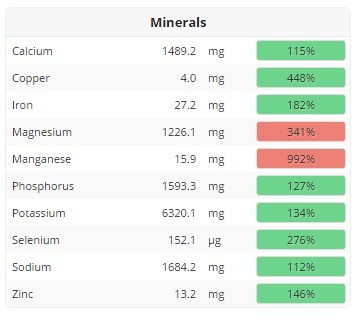 Google foods that contain this nutrient and eat more of them. Simple as that. Oh and your Vitamin D will probably always be low, that’s easily explained: We get our Vitamin D through sunlight. And we get enough of it. No dicussion on that. Thanks. This is only a small fraction of all health benefits of a vegan diet. If you want more information on the health benefits just google it, there are many websites concerning this topic. You can also watch the documentary „forks over knifes“. It’s free to watch on youtube and insanely interesting.